I asked Naomi. She said they can be notices to tell you that someone has died or for basically anything else. 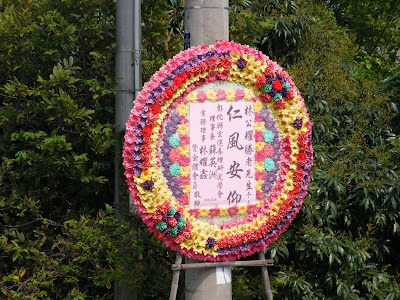 You rent them (around NT$500 for one) to display a notice. So if a friend or family member has achieved something, like getting elected into the local council, or opening a business, or anything, you can rent one or however many you like and display a notice.